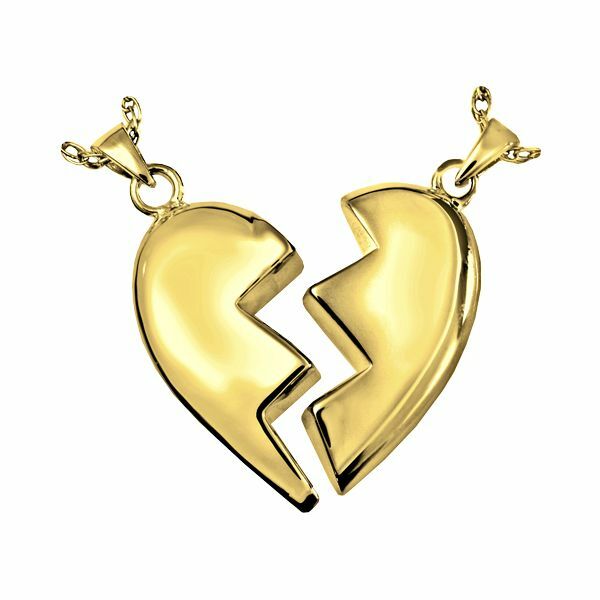 The Companion Broken Heart cremation jewelry necklace is a gold vermeil charm and includes a 20" gold-filled metal rope chain. 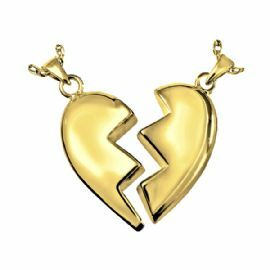 The pendant is comprised of two halves that can independently hold a small portion of ashes, or cremains, a small lock of hair, dried flowers, or earth from a special location. 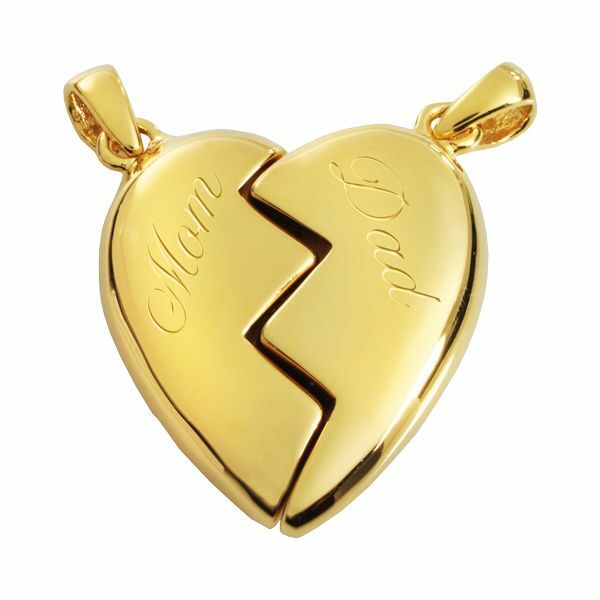 The Companion Broken Heart pendant makes it possible for family members or friends to keep precious and cherished memories close to the heart. 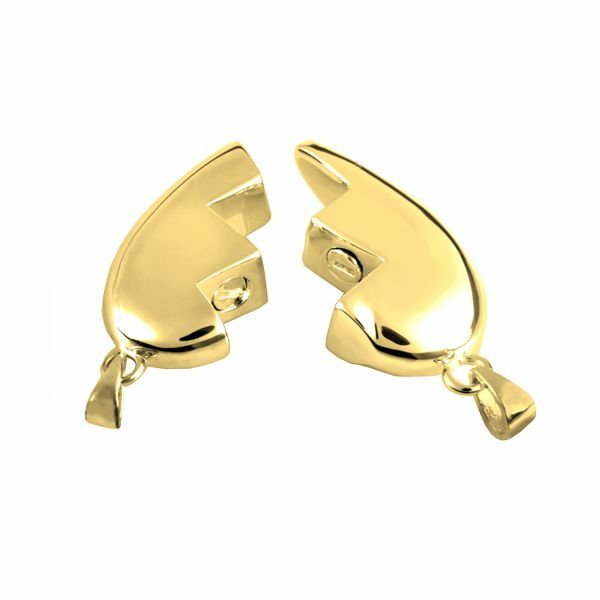 Please note that only one half of this pendant can be worn on a necklace. The other half should be kept in a secure place for reflection.